The public has, through strategies-of-tension, been conditioned to believe that they were battling communism all over the world but, of the governments overthrown, only Afghanistan and Chile were originally communist. During the seven years William Casey was CIA director (1981 to 1987), 50 major CIA covert operations were initiated throughout the world and thousands of minor ones.1 Those major destabilizations caused massive deaths and destruction while the minor operations controlled the media on both the periphery and in the imperial center and destabilized small democratic groups before they could gain a following. As Casey was director for only seven of the CIA’s 55 years, one starts to get a sense of the massive covert destabilizations it took to suppress these breaks for freedom. That America won the Spanish-American War in 1898 is recognized by all, but even some encyclopedias do not inform the reader that “Spain ceded Cuba, Puerto Rico, Guam, and the Philippines” to the United States for $20-million. Similarly, but not totally, ignored, is that the Philippine patriots’ struggle for freedom from America was violently suppressed from 1899 through 1903 in a manner very similar in tactics and level of violence of the Vietnam War. 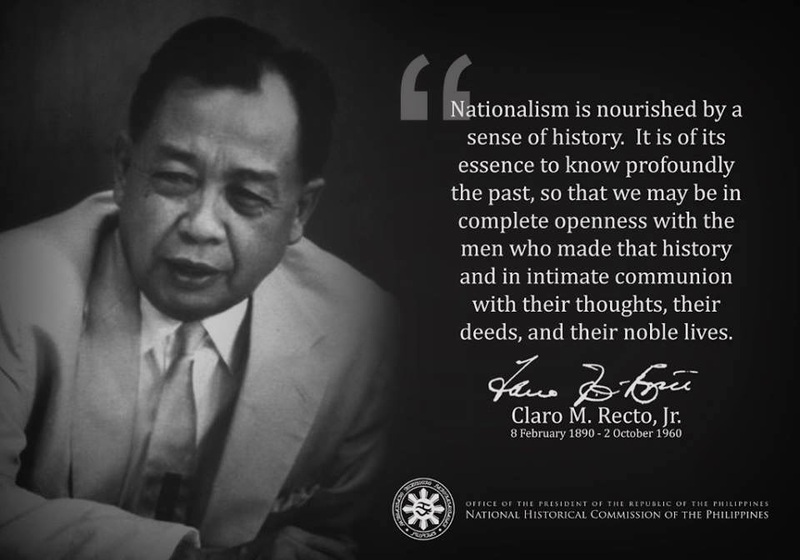 In that break for freedom, an estimated 600,000 Filipinos died from combat and starvation. I spent thirty-three years and four months in active service as a member of our country’s most agile military force—the US Marine Corps…. And during that period I spent most of my time being a high-class muscle man for big business, for Wall Street and for the bankers. In short, I was a racketeer for capitalism. As we outline examples of a few of the major destabilizations of post-WWII democratic governments that were breaking out from under the control of the imperial centers, remember that these destabilizations were done by good people just like you and I who believed fully in what they were doing. Quality people throughout the world were firmly locked within a social-control paradigm carried by a political, academic, and media system from which many conscientious scholars had been either purged or silenced. Those carrying out the orders of managers-of-state had never heard anything other than that they were battling the world’s worst elements that were attempting to take away our democratic freedoms. The Iranians were as angry as any American would be if a powerful nation overthrew their government and put Britain back in power. But government press releases (most news can be traced to press releases of governments or corporate-funded think-tanks) and planted articles (traceable to the CIA’s Mighty Wurlitzer) building the image of a dangerous enemy denied all knowledge of this suppression of democracy to the masses in Western nations. That enemy is, of course, then not hard to prove. The overthrow of its government to control its oil and its destiny made Iran that enemy. On November 4, 1979, activist Muslims overthrew America’s puppet dictator, overran the American Embassy, and held 52 Americans hostage for 444 days.6 This was the greatest peacetime tweak of America’s nose in its history. Considering the imperial nations were actively fomenting intrigues, overthrowing budding democracies with immense loss of life, and installing and supporting puppet dictators and “imperial democracies” all over the world to control resources and markets, to think that America would peacefully take that nose tweaking as well as the loss of control of Iranian oil would be an exercise in extreme denial. With the surfacing of that piece of hidden history, simple common sense tells us that any imperial nation would pursue every option to damage a nation that was holding their citizens hostage and Iraq was likely coached into that invasion with the promise of backing for their claim of title to the oil fields right across its borders. With the strongest nation in the world behind it and Iran in turmoil, Iraq would have felt assured of success. Before the early 20th-Century subdivision of the Middle East, Kuwait was a province of Iraq. Badly bruised from the Iran/Iraq war, upset about Kuwait’s horizontal, cross-border, drilling stealing oil from Iraq, and feeling America was now their friend after their immense support, Iraq moved to bring her lost province back into the fold.a This led to the 1991 Gulf War which cost Iraq 200,000 killed, destruction of her industry and infrastructure, a 12-year embargo in which another million Iraqis died for lack of food and medicine, and the destruction of a 2nd Gulf War in 2003, and the on-going occupation of Iraq with daily loss of many Iraq and American lives. As soon as the war was over the Economic and Social Commission for Western Asia (ESCWA,) met and concluded that the 1st Gulf War cost them $600 billion and anticipated this 2nd Gulf war will cost them $1 trillion. All the destabilizations and overthrows of governments we are addressing were because of potentials for success if those countries gained or retained their freedom. There is no reason to doubt that the same reason applies to this 2nd and latest Iraq war (search for ESCWA, $600 million, 1,000 billion). Indonesia was gaining its economic freedom and taking control of its destiny. Besides having massive resources coveted by the imperial nations, Indonesia was establishing an honest democracy. Twenty-five percent of the nation’s citizens were following the Communist Party so they were to be entitled to 25% representation in the government. This could not be permitted. On the second try, the CIA overthrew Sukarno and installed Suharto. The managers of the American state were still not secure enough: their newly installed puppet was not actively suppressing that 25% of the voters who were such a threat. If they were left intact, Indonesians may have successfully taken control of their destiny. These innocents were not slaughtered because they were going to overthrow anybody, as the citizens of the Western world were told. They were overthrown because with their enormous resources a truly democratic Indonesian government had a high potential for both political and economic success and that success would catch the attention of other nations who would then insist on their freedom. That suppression of freedom was handled by such fine control of the news that it was almost unknown to the citizens in the Western world and what little was in the news seldom mentioned the immense slaughter and America’s connection was totally ignored. During WWII, while working directly with American agents to rescue downed U.S. pilots, Ho Chi Minh sent six letters to the U.S. government asking for support and stating that the Vietnamese wished to pattern their constitution after America’s. Only after America refused to recognize and support their freedom, and instead supported the French suppression of their freedom, were the Vietnamese forced to turn to China and the Soviet Union.11 It is said that America lost in Vietnam but 3-million people were slaughtered (4-million if one included the previous 15 years of French suppression), millions of acres of forest poisoned with herbicides were destroyed and, after winning its freedom, Vietnam was further decimated by embargoes.12 We want to remember the revolution only gained America its political independence and it required the war of 1812 to gain its economic independence. Vietnam gained only its political independence, not its economic independence. Vietnamese resources are now available to imperial-centers-of-capital. This makes that war a success. After all, control of resources to feed the industries of imperial centers is what these wars are all about. In 1951, the Communist Party was one of the smallest of four parties which supported the election of Jacobo Arbenz as president of Guatemala. Knowing that foreign-owned land titles had been obtained under far from free market conditions, President Arbenz started the legal process of reclaiming several hundred thousand acres of idle land from America’s United Fruit Company. For the first block of 178,000 acres, United Fruit was offered a 24-year bond valued at $525,000, its valuation on United Fruit's tax records. Thinking there were no serious problems in Chile and spending only a modest amount of money to influence its 1972 election, Cold War managers-of-state went into shock when Salvadore Allende was freely elected president on a platform of control of Chilean resources for Chileans. The CIA immediately financed 10 economists, primarily from the Chicago School of Economics, to put together an alternative economic program for Chile to assure stability once that errant nation was brought back within the fold. To assure its return, the managers-of-state embargoed Chile and the CIA and America's military, primarily the Navy, coordinated plans for Allende's overthrow. This included picking Chilean military personnel for training at the School of the Americas (then in Panama, later in Fort Benning, Georgia, then renamed to the Center for Inter-American Security Cooperation, but properly nicknamed The School of Assassins or School of Coups). Among those hand-picked recruits would be dependable supporters for a coup when the time was ripe. Pinochet was under house arrest in Britain for over a year in response to a petition to be extradited to Spain to stand trial for killing 300 Spanish citizens.b Although he escaped that attempt to put him on trial, he, eight Chilean generals, and 80 military and intelligence officials were later indicted in Chile and virtually everyone agrees that Pinochet will be recorded in history as being in charge of the torture and slaughter of many thousand innocent Chileans.20 Argentineans have similarly been able to correct the history of the suppression of democratic voice in their country but most such suppressions get falsely recorded as civil wars and uprisings. Since the overthrow of Allende Chile is trumpeted as a great success story of Adam Smith free trade. But when all wealth is accounted for, it is a testimonial to Chilean resources and wealth going to the imperial-centers-of-capital and their wealthy puppets now running Chile. In statistics, where you start and where you quit is everything. After Allende's overthrow, national output dropped 15%, the unemployment rate rose to 20%, wage reductions averaged 15%, and that low level provides the base for most statistics. The percentage share of national income going to labor dropped from 47.7% in 1970 to 19% 20 years later. Likewise, Argentina’s labor share dropped from 40.9% to 24.9%, Ecuador’s from 34.4% to 15.8%, Mexico’s from 37.5% to 27.3%, and Peru’s from 40% to 16.8%.22 The real story of Chile and other emerging nations is that the earnings of laborers have declined significantly, their rights have declined precipitously, the earnings of the already wealthy have climbed astronomically, and the natural wealth of Chile and the rest of Latin America is being rapidly mined, harvested, and shipped to the imperial-centers-of-capital, a classic example of a successful neo-mercantilist policy. With the exception that a free election was never permitted, the 1980 through 1992 suppression of El Salvador’s break for freedom paralleled that of Guatemala as described above. When tortured bodies with their thumbs wired behind their backs (a death squad marker) show up outside the El Salvadoran capital almost daily, and since there was no serious effort by the officials to get to the bottom of those tortures, one can safely assume these are government assassinations of the political opposition. This was the conclusion of the United Nations El Salvador Truth Commission. Its 1993 report placed responsibility for 85% of the 70,000-plus deaths on security forces trained, armed, and advised by the American military and another 10% upon the El Salvadoran elite’s private death squads which, of course, could only function with the silent approval of the both the El Salvadoran and American governments. The suppression was successful and El Salvador remains as a provider of cheap resources and labor.23 It is now “the 8th-largest exporter worldwide of apparel to the United States. This year it will send the U.S. 268-million garments.” A Google/Nexus-Lexus search for Truth Commissions will be an education. Nicaragua gained its freedom July 19, 1979, when the Sandinista liberation forces overthrew President Somoza. Under the guidelines of NSC-68, American managers-of-state immediately made plans to reverse that revolution. The CIA armed, trained, and oversaw the sabotage and assassinations within Nicaragua by Nicaraguan defectors called Contras. While tens of thousands of people were killed under the oppressive—U.S. sponsored-Somoza dictatorship, only a few thousand died, all at the hands of the Contras, as Nicaragua fought for its freedom. The Nicaraguan government was protecting its citizens as opposed to being the primary source of murderous assault upon its own people as in Chile, Guatemala, El Salvador and in Nicaragua under Somoza. The immediate improvement in education, health, and living standards under the Sandinistas was reversed by the destabilization process. The beleaguered Sandinistas eventually agreed to a free election, massive U.S. funds illegally financed the opposition, the people knew the war of attrition would continue if Ortega and the Sandinistas still governed, and the American-backed Violeta Chammoro became president of Nicaragua in February 1990.24 Though the Chammoro government was not the thief and oppressor the old guard Somoza government had been, that suffering nation, once rapidly progressing under the Sandinistas, is one of the poorest nations of Latin America as their resources again feed the industries and populations of the imperial-centers-of-capital. One-in-nine Nicaraguan children face serious malnutrition (BBC news used the word starving), and Nicaragua is again a country going nowhere. After Libya declared its freedom, Britain tried several times to covertly overthrow Libya’s leader who responded by supporting violent anti-Western political movements. After direct bomber attacks, which killed President Muammar Khadaffi’s adopted daughter, such support was abandoned. Though Libya’s human losses have been small, there have been some killed and, through embargoes, their economy has been successfully contained. Libyan, Iranian, and Iraqi economic freedom meant they, along with other newly developing oil-rich nations which would follow their lead, would build their own refineries and take over a significant share of the world's oil industry. With their cheap oil and massive reserves (pennies per barrel as both raw material and fuel for their refineries and factories against $30 to $55 a barrel for others to import), they would also control all the thousands of derivative products of oil (medicines, plastics, synthetic fibers, et al.) as well as other fuel-intensive production processes. What really threatens the imperial center is the potential of success of Libya’s and other resource-wealthy nations’ development plans and the loss not only of control of that oil and other resources but of the current monopolization of other industries through those nations’ use of the immense profits to take over industries and markets. This author watched a news broadcast where one operative boasted of over 50 forays into Cuba creating such havoc, including blowing up a Cuban railroad trestle and “watching the train go into the ravine just like in the movies.” The reader should note that, until the 9/11/2001, terrorist attack on America, no one was blowing up American or European trains and refineries, no one was burning American or European grain fields, no one was poisoning the West’s dairy cattle (7,000 East German dairy cattle were poisoned by the CIA) and no one was practicing germ and crop warfare against the West. In short, the truth is exactly apposite of what the CIA’s Mighty Wurlitzer has propagandized the world to believe. No countries were attempting to overthrow Western nations. It is the rest of the world which was under assault by the West for the purpose of controlling their governments, their resources, and the wealth-producing-process. After the 9/11 terrorist attack Americans are very justly waging a war on terror. Yet five Cuban agents infiltrating the Cuban-American community so Cuba could be forewarned of U.S. coached terrorist attacks against them were sentenced to 15-years-to-life as spies. A serious analysis would conclude that charging those Cuban heroes with spying is an admission that America was behind the same covert attacks against Cuba as they fear others are now waging against Americans. The imperial center is retaining the right to interfere covertly, overtly, and violently with any nation on the periphery and simultaneously denying these besieged people even the right of self-defense. Note how successful these strategies-of-tension are for controlling the mindset of a population. American people remained blissfully unaware that Cubans had attained a level of education and health care equal to America and had eliminated hunger while the rest of Latin America remained in poverty. Talk to any American on the street, most will know nothing of Cuba’s successes and, even though it is Cuba being terrorized by America and Cuba is not terrorizing anyone, they believe Cuba is a terrorist state in poverty. Many times this author would test his peers by bringing up the subject of Cuba. Their immediate angry response casting Castro as a dictator and killer testify to the effectiveness of the American propaganda machine. Rather than being an autocratic dictator, any leaders that led a country to freedom and made such great progress in eliminating poverty and hunger would gain the very loyalty and respect the Cuban people give their government. Far fewer people died in the Cuban revolution than most and those who were killed were Cubans cooperating with the American government in the attempted suppression of Cuban freedom. That Cuba was ever a military threat is totally silly. No serious diplomat of state thought the Soviets, China, or anyone else was going to invade any country in the powerful Western bloc. It was Cuba’s rapid, exemplary successes in bettering the living standards of her people, which, if allowed to succeed, would have made it impossible to control the governments and resources of other impoverished nations that was the threat. When the Soviet Union collapsed, one of the conditions for financial help was that it withdraw its support of Cuba. This effectively isolated their economy. Building cranes went silent for lack of building materials, machinery was idled for lack of spare parts, and the once prosperous Cuban economy rapidly regressed. Their economy has turned back up as a trade alliance of Venezuela Argentina, Bolivia, Brazil, Chile, Colombia, Ecuador, Paraguay, Peru, Uruguay, and China are bringing them into their trade agreements. As these countries now understand how they have been destabilized in the past and denied their right for economic development it is highly unlikely their alliance (and potential federation that imperialists fear) and economic development can be prevented a second time around. In short, all the death and destruction throughout the world which appeared to have successfully suppressed the impoverished world’s breaks for freedom may be coming undone. The truth of that bloody history is becoming known so it will be very difficult to covertly run another round of suppressions. This leaves the option of open suppression under cover stories as was done in breaking up Yugoslavia and is being done now (2003-05) to control Iraq’s resources. As the entire rest of the world will understand very well what is happening, it is highly likely the truth will suddenly implode upon the American consciousness. It is only through enemies created for them that a citizenry accept such violence upon others by their governments. People are good, when this reality hits the world will then gain their freedom. While in Cuba we were mesmerized watching 15-year-olds, 20-year-olds, 30-year-olds, and 60-year-olds give passionate speeches to the Cuban legislative body. As we mentioned in the Introduction, Cuba, like the former Soviet federation we are taught was a dictatorship, has participatory democracy and the country had been shut down for three days to debate a change in their constitution. In this country we are taught is a violent and abusive dictatorship, its citizens debate, and vote on, their laws. These well educated passionate people would have been uneducated, impoverished and shoeless under any typical Western puppet government. Today they are, except for America’s embargo trying to strangle their economy, fully free and equal and trying to build a peaceful and productive society. So much for Cuban terrorists. Those who control history control the future. It is understandable that the United States is using its immense power to prevent the establishment of an International Criminal Court (ICC) with authority to judge the planners and perpetrators of these atrocities. If such a court were ever established and given the investigative authority and funds, true history might be recorded. The powerful, currently protected because their acts are unrecorded in history and thus unknown, would be immediately weakened as their illegal acts were put on record, and the power of the suppressed masses would be simultaneously strengthened. When U.S.-trained covert operatives are caught in criminal acts that are extensions of these operations, typically they are not charged in U.S. courts. To do so would require opening those CIA records so—since every operation is the total antithesis of law, justice, honesty, and right—these charges are dismissed or never brought in the first place. We saw this scene played out with seven Cuban defectors set for trial in Puerto Rico for plotting to kill Fidel Castro of Cuba. Threatening to expose the fact that their assassination project was only an extension of the spreading of exotic livestock diseases and exotic human diseases in Cuba, burning Cuban cane fields, blowing an airliner with a champion Cuban fencing team (and other innocent people) out of the sky, and many other covert operations they were trained to do by the CIA, including the now well-known 30-year CIA effort to assassinate Castro. Naturally they were acquitted. An attempt was made to assassinate Chou En Lai of China, second in power only to Mao Ze-dong. The plane was successfully sabotaged when it landed to refuel outside of China and all aboard were killed. However, Chou En Lai had taken another plane. This was a precursor to sabotaging the plane with the Cuban champion fencing team, and these were far from the only such Western state-sponsored assassinations of fundamentally nonviolent and peaceful leaders and potential leaders. 30 In Confessions of an Economic Hit Man John Perkins alerts us that Panama’s President Omar Torrijos and Ecuador’s President Jamie Roldos were assassinated by the CIA because they refused to be corrupted. Those death squads were killing teachers, professors, labor leaders, cooperative leaders, and church leaders. Those killed were not the terrorists and killers that we are told. They were the budding Washingtons, Jeffersons, Madisons, Gandhis, and Martin Luther Kings of those countries who could lead their countries to freedom and thus had to be eliminated. It is possible that U.S.-sponsored state terrorism was greater than all other world terrorism combined, state and private, and it is a certainty that all Western nations together supported and guided several times more terrorism than the entire rest of the world.d And remember, much, if not most, private world terrorism is in reaction to these assaults (overt, covert, financial, and economic) that subvert the governments and economies of defenseless societies. Imperial nations fear a true International Criminal Court31 but they have no fear of the current International War Crimes Tribunal indicting and trying war criminals. Since the U.S. and NATO established and financed this court and provided the researchers and judges, there is no danger of it seriously looking into terrorist acts of their own such as we are addressing. On May 10th, 2000 at a speech in Berkeley, California, Secretary of State Madeleine Albright (one of the primary designers of trying Yugoslavs for war crimes) admitted what all diplomats knew: the U.S. “raised the bar” high enough during the Rambouillet negotiations so that “Milosevic could not jump over it” because “Yugoslavia needed a little bombing.” The U.S. dictated at Rambouillet that Yugoslavia accepts the total occupation of Yugoslavia by NATO or be bombed. As all diplomats agree that no nation could sign such an agreement, Rambouillet was a declaration of war, not a negotiation, and this means that all who planned that war and the massive destruction of Yugoslavia’s civilian infrastructure are war criminals. The CIA picks candidates in the developing world for an all-expense-paid education at Milton Friedman's Chicago School of [neo-liberal] Economics and other conservative institutions and these students go back to teach and run governments. To regain control of Chile, the CIA handpicked several hundred Chilean students for training at the Chicago School. These graduates returned to Chile, and are—along with the graduates of the School of the Americas (School of Coups/School of Assassins) addressed above—professors and political leaders in Chile today. Argentina has also destroyed their records on assassinating 30,000 essentially peaceful people (among them nuns and teenagers, about 500 of them pregnant women who, after giving birth, went straight to the plane which dropped these drugged people into the Atlantic Ocean34), and it is a safe bet that other allied imperial nations and their puppet governments have destroyed their incriminating records. Due to the perseverance of mothers, the violence that Argentina imposed on its own people is being recorded (30 years late). But the ironclad rule of all imperial nations is “plausible denial.” These government-sponsored terrorist acts against other people, or their own people, are not to be traceable to those governments and thus unrecorded in history. Only what is acknowledged or proven can be recorded in history. When someone does bring this government-imposed violence to light, the very people planning or carrying out this violence testify in front of Congress that it is not happening, the government denies to the people and the world that it is involved, and most of those records of covert terrorism are erased before the 30 to 100 years the secrets legally run out. So even if recorders of history (the media) are somehow informed that their government is responsible for extreme violence against innocent people, it does not get recorded in the papers and magazines of record and thus does not get recorded in history. We owe defecting CIA agents and good researchers an enormous debt for bringing enough to light before those records were destroyed so the story can be told. South Africa’s policy of amnesty for all who fully tell the story of their involvement in that country’s state terrorism has exposed these practices. But the South African government’s poisonings, tortures, and assassinations pale into insignificance alongside those carried out under Western destabilization policies. We must remember the title of George Seldes’s book, Even the Gods Can’t Change History, and his many examples of totally falsified events recorded as fact that simply cannot get changed in the history books. Quite simply, the winners of wars write history, claims of a free press and free thought notwithstanding. Those old history books become the source for new history books and the same falsifications of history are repeated. (1) “How come our media and our political leaders did not inform us that Cuba—once as impoverished as other Latin American nations—attained the education and health care level of America? (2) How come Cuba eliminated hunger while the rest of Latin America did not? (3) How come tens of millions of children in the world sleep in the street and not one is Cuban? (4) How did they do this even as they were under almost total embargo by the West and American covert assaults burned their cane fields, spread exotic diseases to their livestock and within the human population killing over 150 Cuban children and forcing the slaughter of thousands of livestock, blew up railroad trestles dumping trains into the ravine, and blew a Cuban airliner out of the sky with Cuba’s champion fencing team aboard? (5) Why were we not informed of the 730 American airmen who were shot down over the Soviet Union who were either killed in the crash or finished out their lives in Soviet prisons while their family were told any of dozens of cover stories of how they died? (6) It is undemocratic and illegal in America and any other country for another country to be involved in their elections. How come America heavily financed and guided elections in almost every country of the world including those in Western Europe after WWII? (7) By what right did America orchestrate the assassination by death squads of thousands of budding Washingtons, Jeffersons, Martin Luther Kings, and Gandhis when they were losing control of elections in El Salvador, Guatemala, Nicaragua, and dozens of other tiny countries? (8) By what right did America destabilize governments that, in spite of the above named covert U.S. efforts, were democratically elected (Chile, Guatemala, Ecuador, Panama, Iran, Indonesia, and Nicaragua is an incomplete list)? (9) What does dictating policy to the world do to our language when those assaulted countries with multiple political parties and some, such as the former Soviet Union’s and Cuba’s participatory democracy whose citizens’ representatives had direct instructions from the voters on how to vote on issues (similar to American ballot initiatives), are labeled dictatorships while the countries which did all I have just described, and which have effectively kept true democratic choice out of their political systems, are labeled as democracies? Throughout much of the Cold War the entire world was kept track of through Operation Statewatch. As addressed above, those breaking free via the ballot box or coups were targeted for destabilization. Countries alert enough to avoid covert takeovers of their economies faced open warfare. The cover stories justifying the invasion of Iraq in 2003 were in tatters so the final cover was America was bringing democracy to the Middle East. Expanding upon this bold view, on August 5, 2004 the Office of the Coordinator for Reconstruction and Stabilization was established. Their mandate was to keep track of nations, just as Operation Statewatch had formerly done, and privatize the economies of up to three nations at a time. The legal structure of nations would be changed before the citizenry would realize what was happening.f Monopolizations, that we are told do not exist, are structured in law. Those changed legal structures end up as privately owned banks and industries competing in monopolized world markets and all subject to takeover by foreign capital. First there was up-front colonialism, then there was covert colonialism hiding under the cover of Adam Smith free trade and covert destabilizations, and now a hyper-colonialism is planned under the cover story of reconstruction and the same unequal free trade rules. The bottom line is always the same, lock the world into monopoly capital’s legal structure, hold down the price of labor, control the price of commodities through overproduction (relative to needs [determined by purchasing power] of monopolized markets), through those low wages prevent the development of consumer markets on the periphery of empire, and thus siphon the wealth of the world to the imperial-centers-of-capital. There we have it. All intelligence agencies have been, and are still in, the business of destabilizing undeveloped countries so as to maintain their dependency. It is the dependency of weak nations that maintains the flow of the world’s natural wealth to powerful nations’ industries at a low price and provides markets for those industrial products at a relatively high price. The military forces of today’s powerful nations are for the same purpose as those raiding parties from the city states 800 years ago as addressed in Chapter Two; control of the wealth-producing-process. A part of those assassinations were carried out under Operation Condor, a joint operation set up by Chilean, Argentinean, Brazilian, Uruguayan, Paraguayan, Ecuadorian and Bolivian intelligence (see The Nation August 9, 1999 and the New York Times March 6, 2001) to assassinate expatriates whom they considered a danger to the security of their then fascist governments and who had fled their home country, including some in Spain, Italy, the United States, and other countries,. The problem, of course, was that these people knew too much about the fascist suppressions in these countries. The assassination in Washington DC of former Chilean official Orlando Letelier was carried out under Operation Condor. American Ronni Moffit was riding in the car alongside Letelier and killed in that blast. An Internet search using keywords on these pages will come up with more citations. As this is written 86 nuns, priests, veterans, students, grandmothers, and grandfathers are being sentenced for protesting at the gates of the terrorist training center (school of the Americas addressed above) operating in America. As these subjects are not touched by Western media, we must depend upon www.emperors-clothes.com, and Google/Nexus-Lexus searches on the Internet using keywords off these pages, for this information so crucial to deciphering the true policies-of-state. Our statement barely scrapes the surface of evidence of Western war crimes and we encourage the reader to look at the in depth analysis on that website.